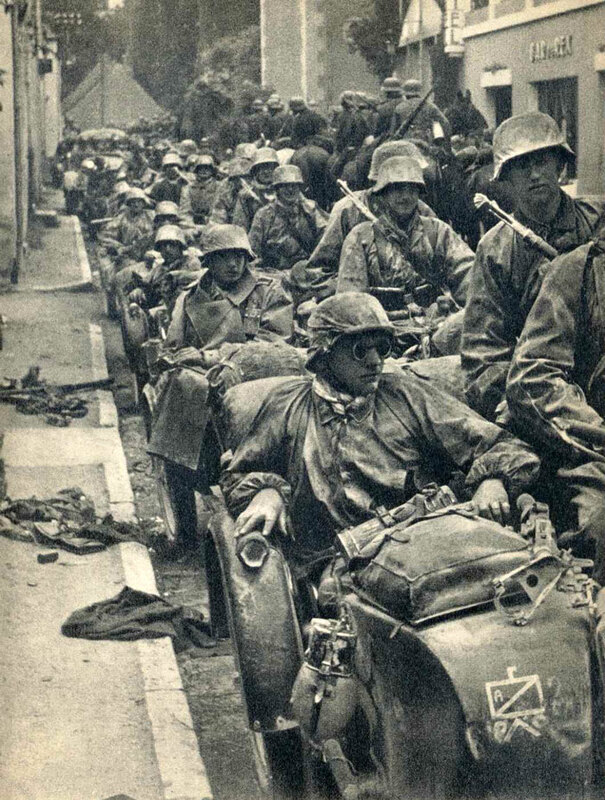 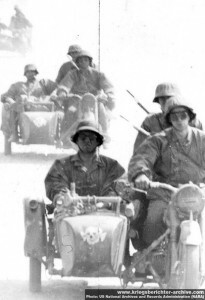 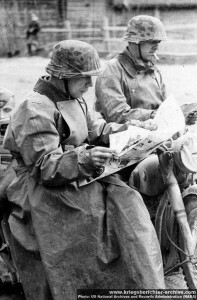 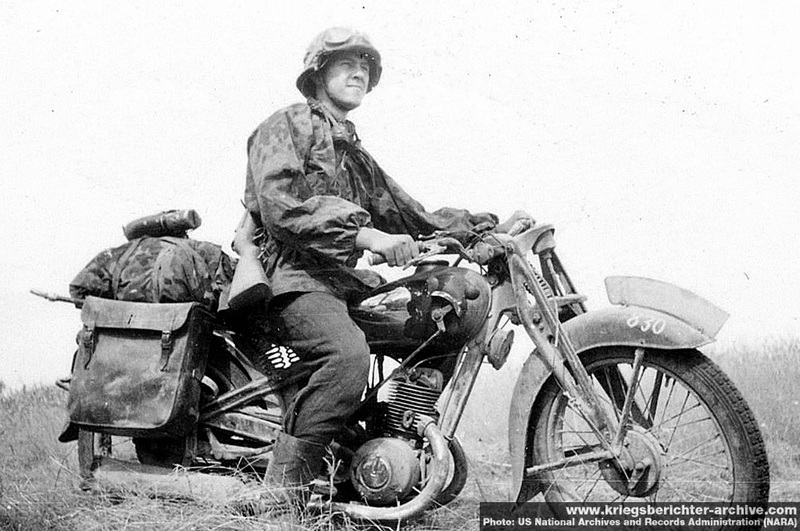 Kradschützen Truppen motorcycle troops were motorized, lightly armed and highly mobile infantry units of the German Wehrmacht and Waffen SS, usually incorporated into the Panzer Divisions. 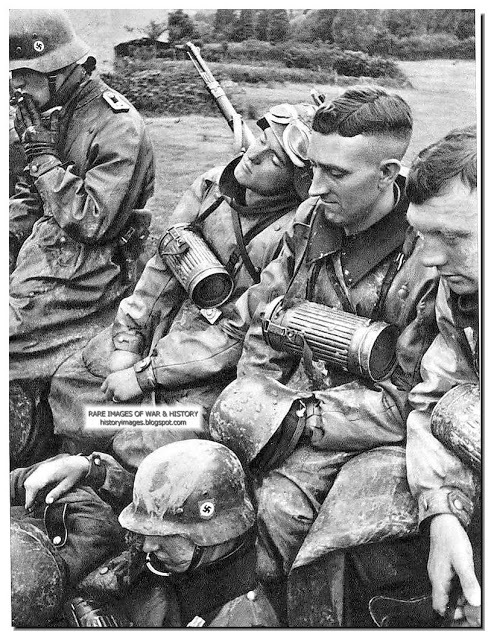 The Wehrmacht developed Kradschützen as a rapid mobile assault and reconnaissance force from 1936 and were used extensively during the early stages of the Second World War as part of the German Blitzkrieg successes (1939-1940) and Operation Barbarossa Invasion of Russia (June 1941). 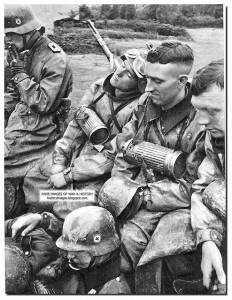 On 31st January 1943, the German 6th Army under Field Marshal Frederick Von Paulus finally surrendered at Stalingrad to the Russians. After Stalingrad the tide of war turned against the Germans who were forced to develop defensive strategies as they were slowly pushed back by the ever increasing strength and resources of Russian and Anglo – American forces. 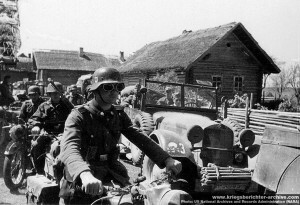 German defensive strategy development included Kampfgruppen as an ad hoc combined arms formation, usually employing combination of tanks, infantry, artillery, anti-tank elements, generally organised for a particular task or operation. A Kampfgruppe could range in size from a corps to company, but the most common was an Abteilung (battalion)-sized formation. Kampfgruppen were generally referred to by either their commanding officer’s name or the parent division, such as Kampfgruppe Peiper. 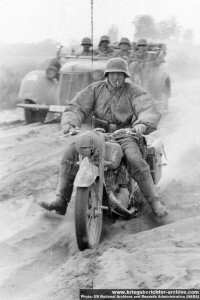 BMW R12 Combo (1936-1945). 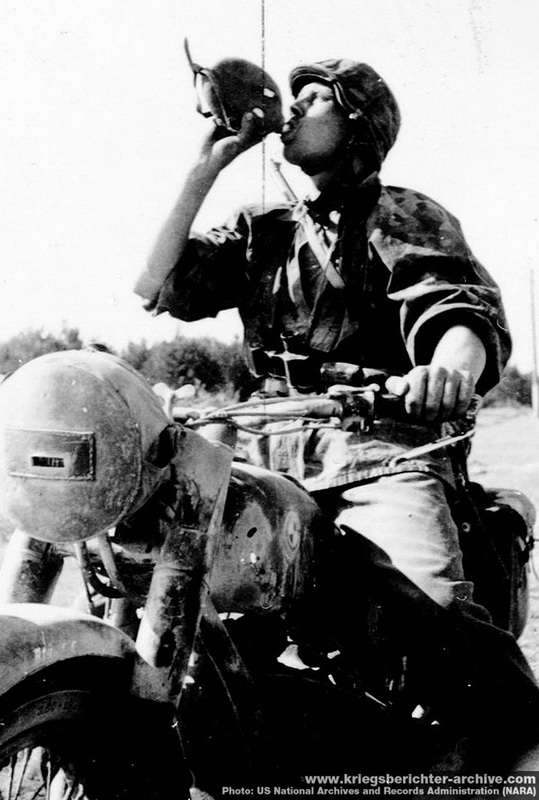 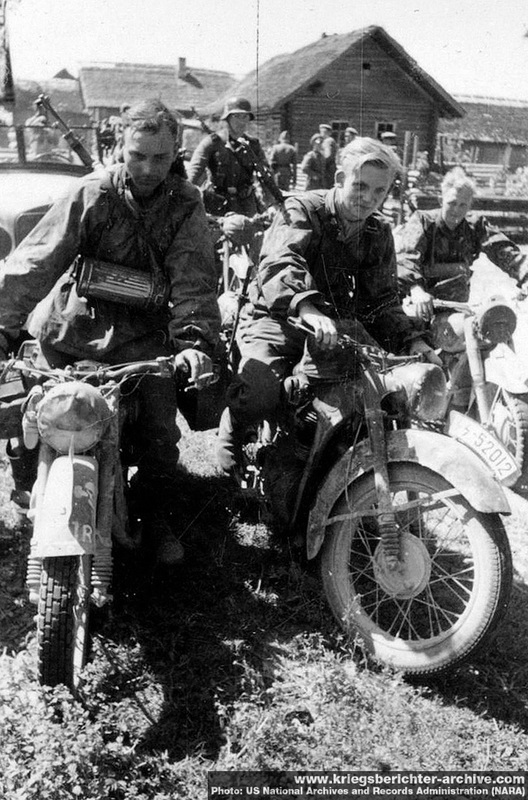 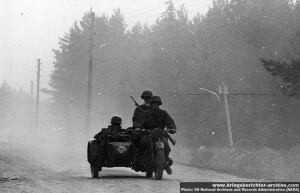 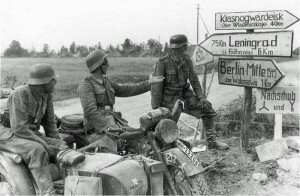 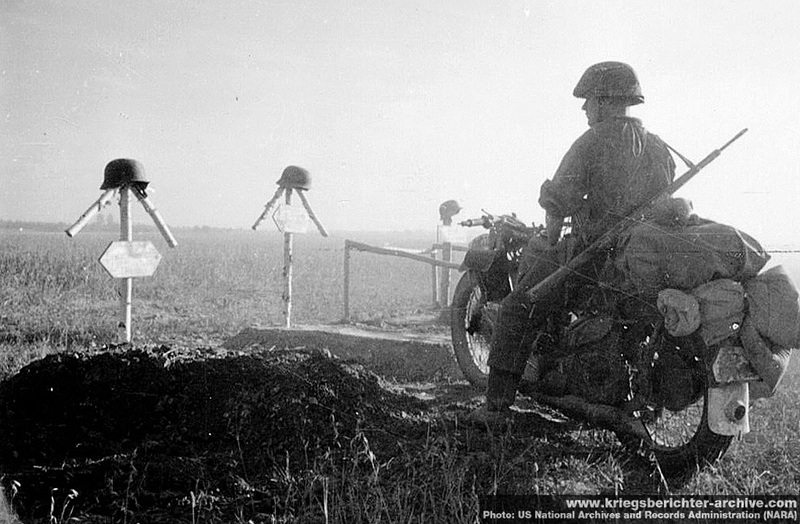 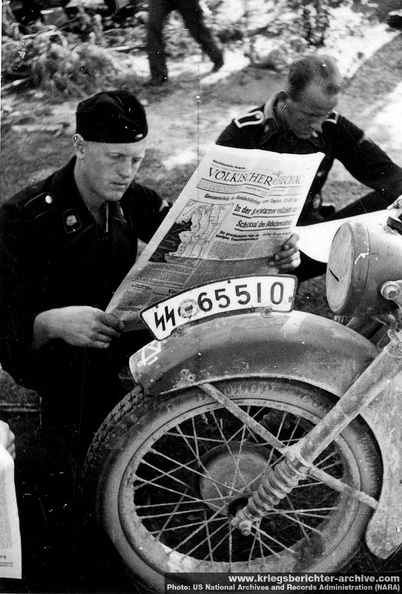 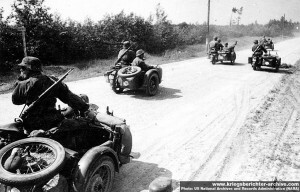 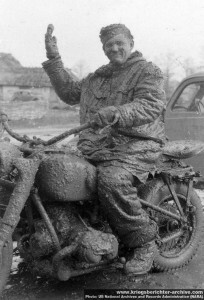 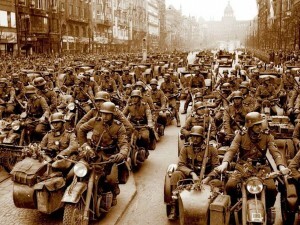 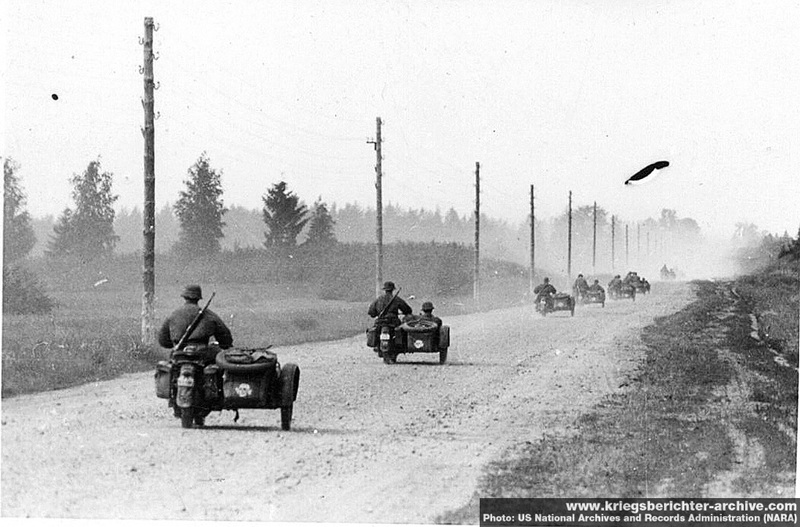 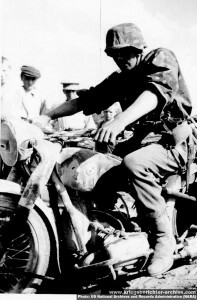 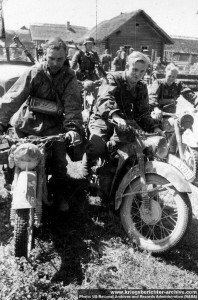 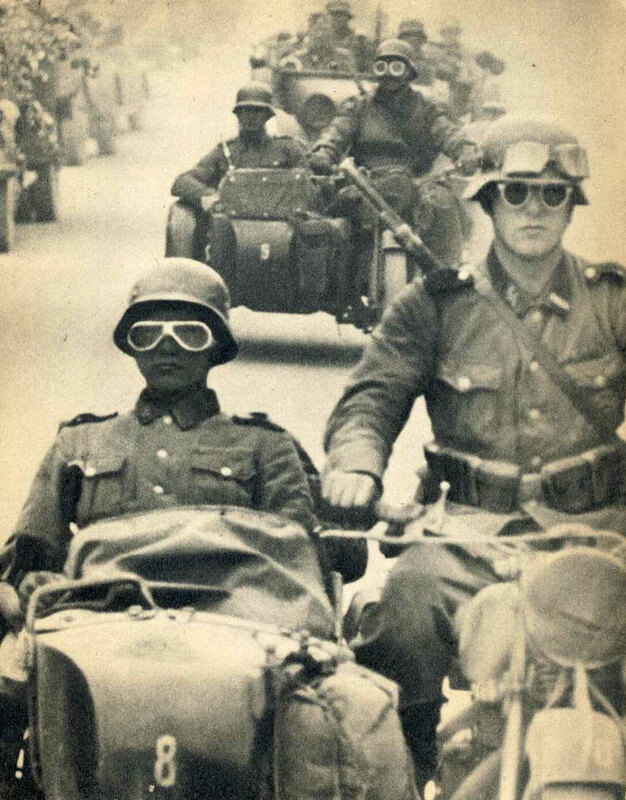 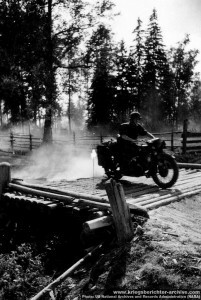 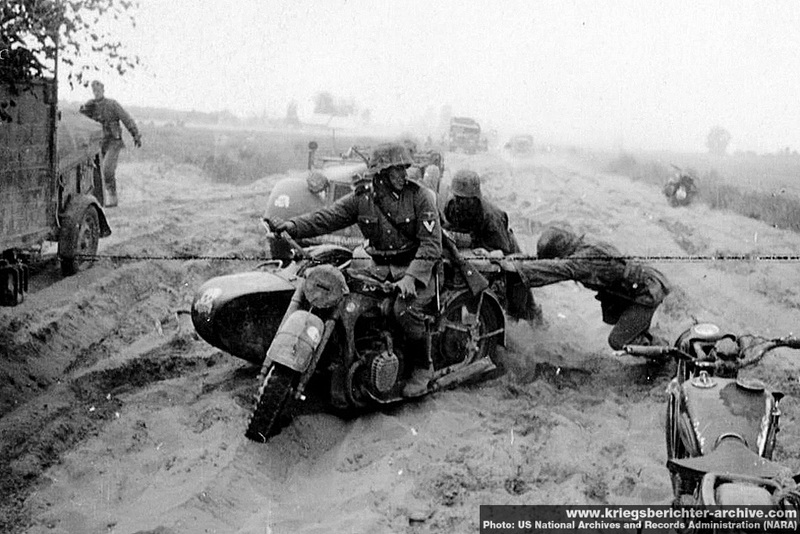 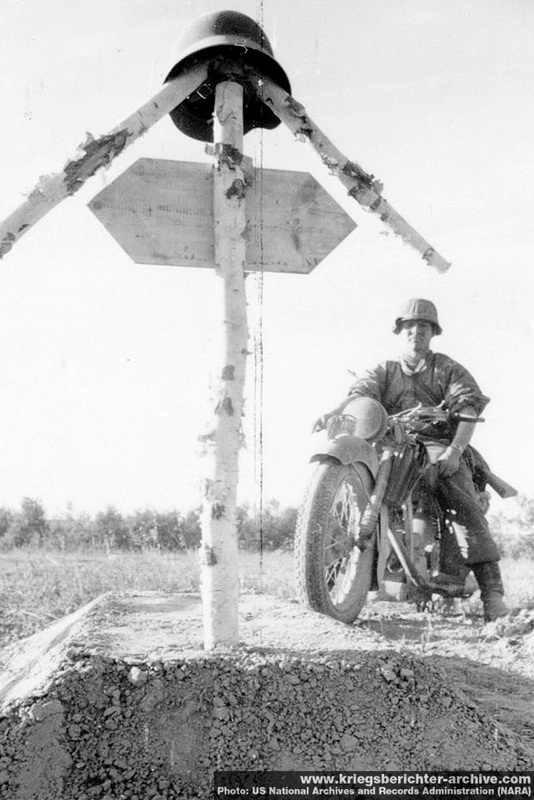 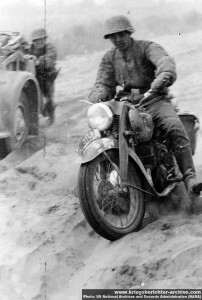 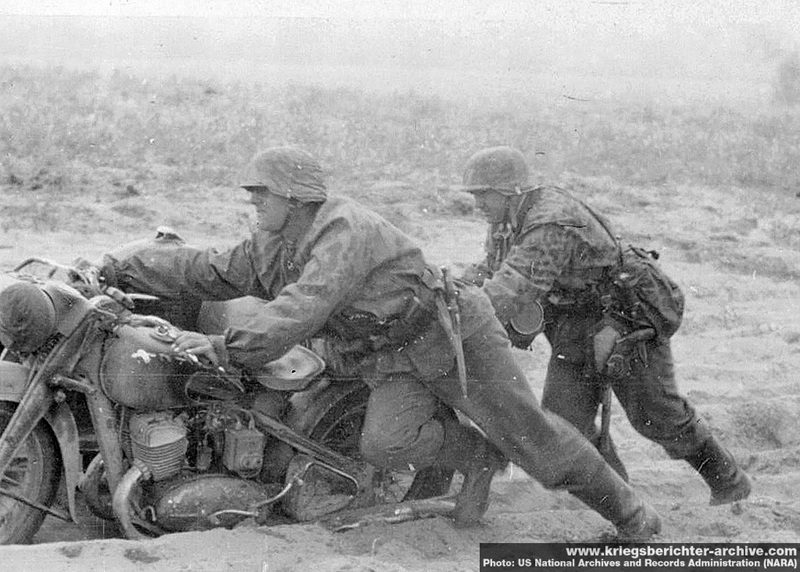 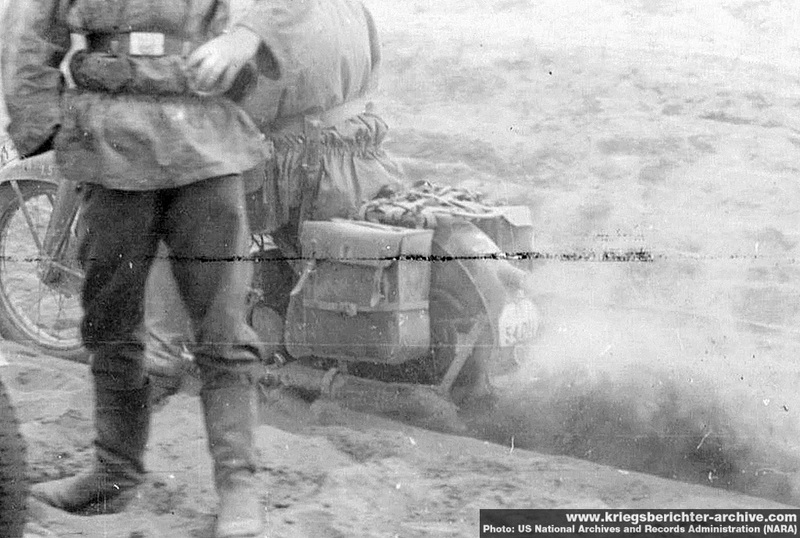 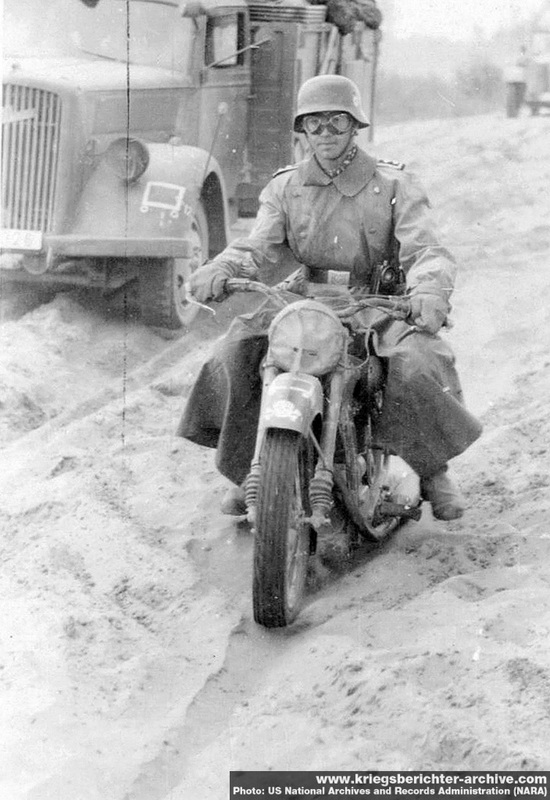 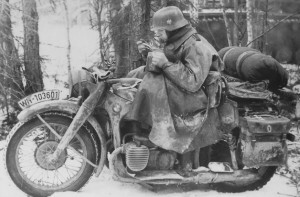 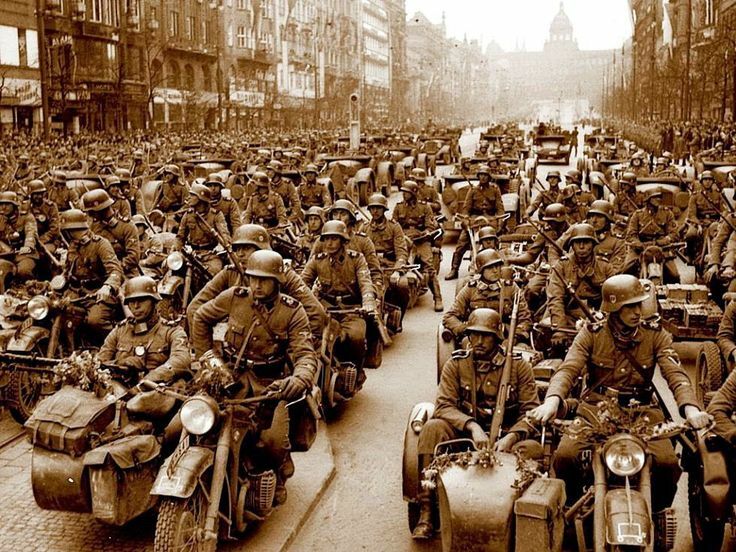 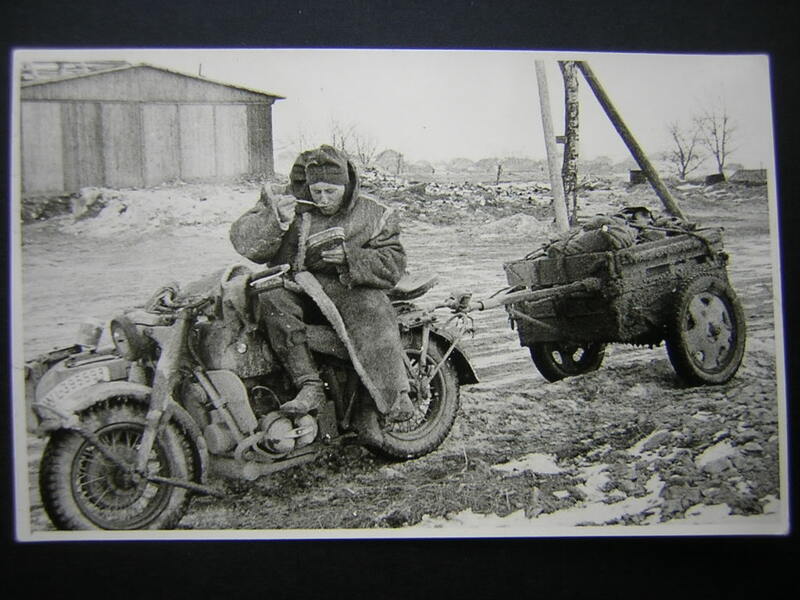 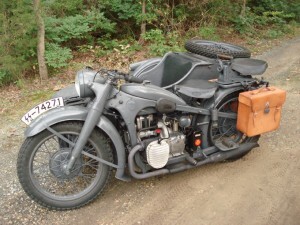 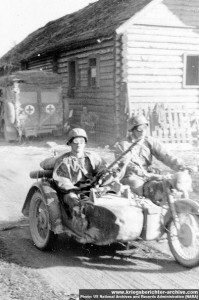 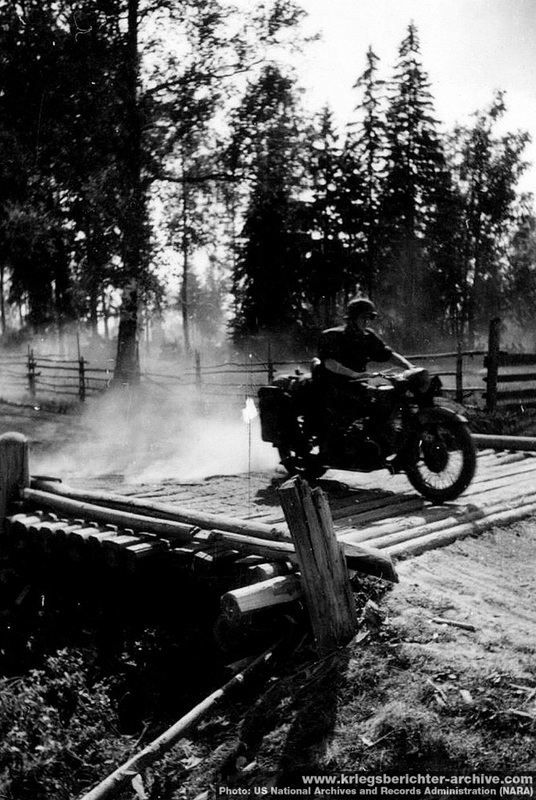 Main Kradschutzen motorcycle during early war Blitzkrieg (1939 – 1940) and Operation Barbarossa Invasion of Russia (1941) periods. 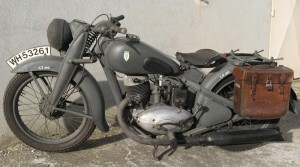 DKW NZ 350 – Used by solo Dispatch Riders (Kradmelder) throughout the war (1938-1945). 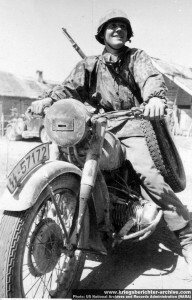 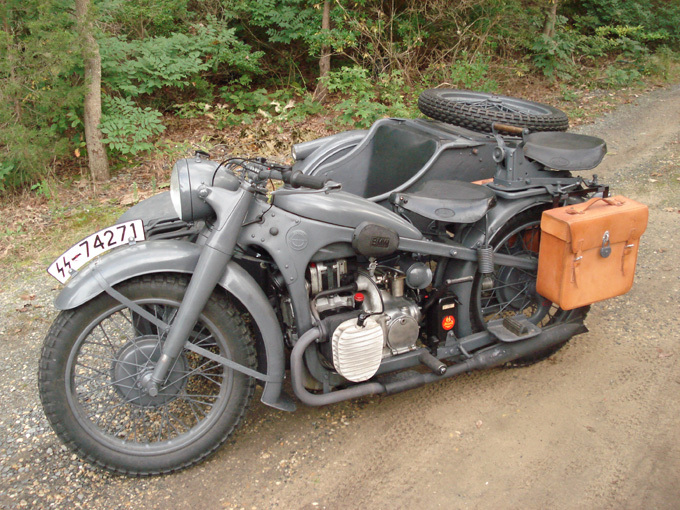 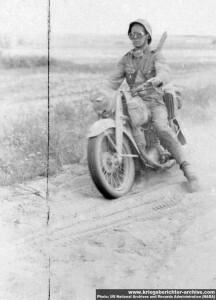 BMW R75 Combo (1943 – 1945). 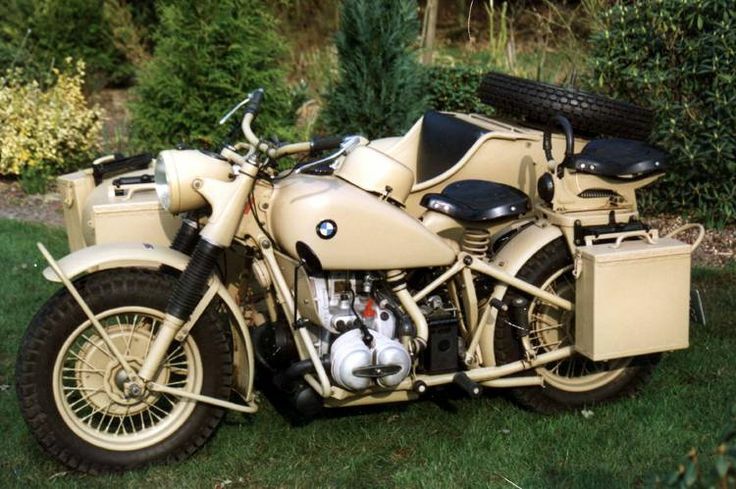 Heavy 2 wheel drive motorcycle. 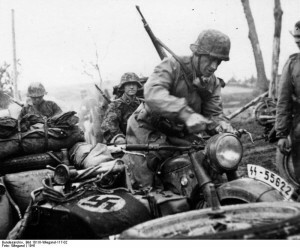 Waffen SS Kradschutzen von Leibstandarte Adolf Hilter (LAH). 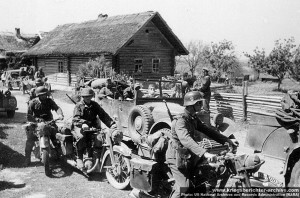 BMW R75 Combo (1943 – 1945). 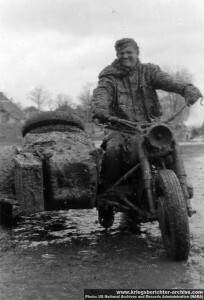 Heavy 2 wheel drive motorcycle with trailer.